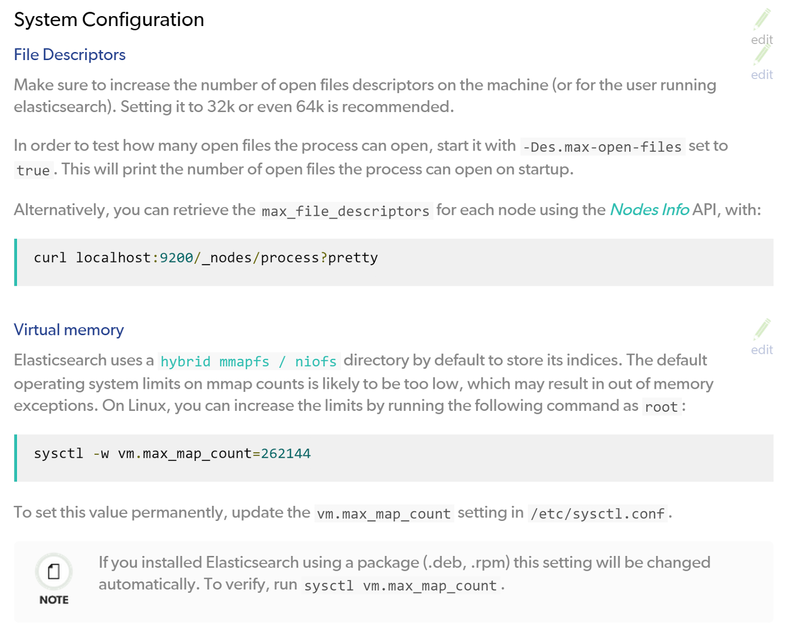 Solving IT puzzles: Note to self: RTFM for ElasticSearch installation. 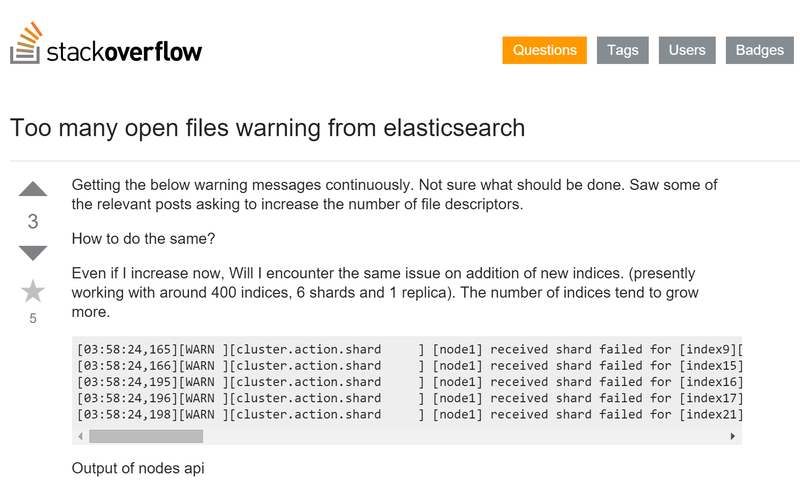 Note to self: RTFM for ElasticSearch installation. As mentioned previously, we're running the ELK stack to monitor our cloud services. Since I wanted to keep running the latest and even beta/pre-release versions of these apps, I've manually installed the apps, as opposed to using apt-get or docker. Anyway - at some point ElasticSearch started taking up 100% CPU load on the machine and stopped responding a couple of minutes later. 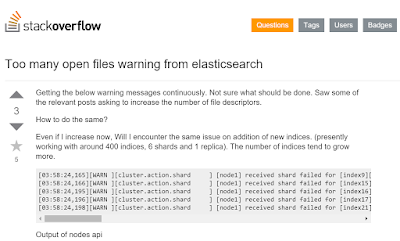 So I stopped ElasticSearch and started it again - this time not in deamon mode. This started showing me the exceptions that were occurring. 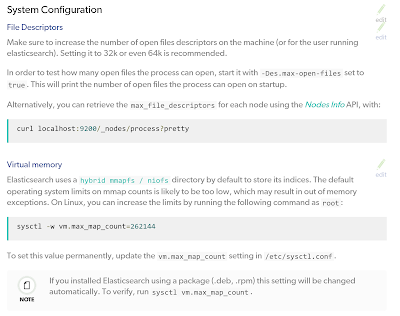 As it turns out ElasticSearch wants you to change 2 configuration settings on your machine: number of open files and disable swapping. After doing this - ES runs like a charm again.